Ah, yes. Grilling season is finally here. And is there anything more classic than marinated chicken? Probably not. But, I'll bet you're bored with your usual recipes. So, let me offer this suggestion: start mixing your favorite cocktails with your chicken breasts. Seriously, folks. A chicken breast marinated with a Bloody Mary is positively delicious. And rum and pineapple will give you an awfully nice tropical chicken dish. Or pour on the gin and grapefruit juice and make yourself delicious "Salty Dog" inspired chicken. The possibilities are limited only by your imagination. And your liquor cabinet. This is our latest "drunken" chicken marinade: tequila lime. 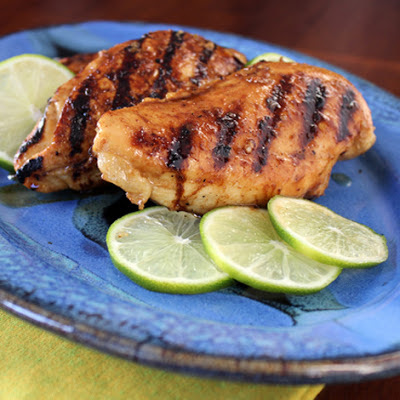 This recipe brings together the flavors of a classic margarita into a deliciously bright chicken dish where the flavors really pop. 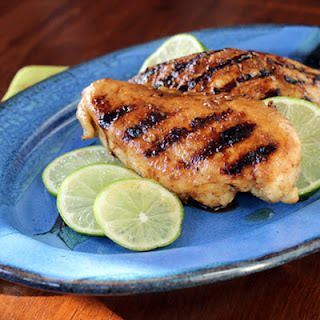 A tequila lime mop sauce fortified with real butter reinforces the citrus flavor and assists the chicken in caramelizing easily on the grill. Just look at those lovely grill marks. And no - they weren't made with a sharpie. When it comes to cooking, I really love a good challenge -- which is probably what makes me so fond of recipe development. I love the tasting and tweaking. I love trying new techniques to get different results. And I love searching for just the right balance of flavors and ingredients. A favorite pet project of mine is recreating favorite dishes we've eaten at restaurants -- or thinking of creative ways to revamp recipes that didn't quite make the flavor cut (there's always a way to save a good concept, after all... you just need to bring a new eye to it). So, this latest project -- creating recipes inspired by things we've eaten in Wisconsin -- was an incredible amount of fun. Not only did we get to think back to all sorts of fun places we've been in our home state, but we got to create delicious food to go along with it. 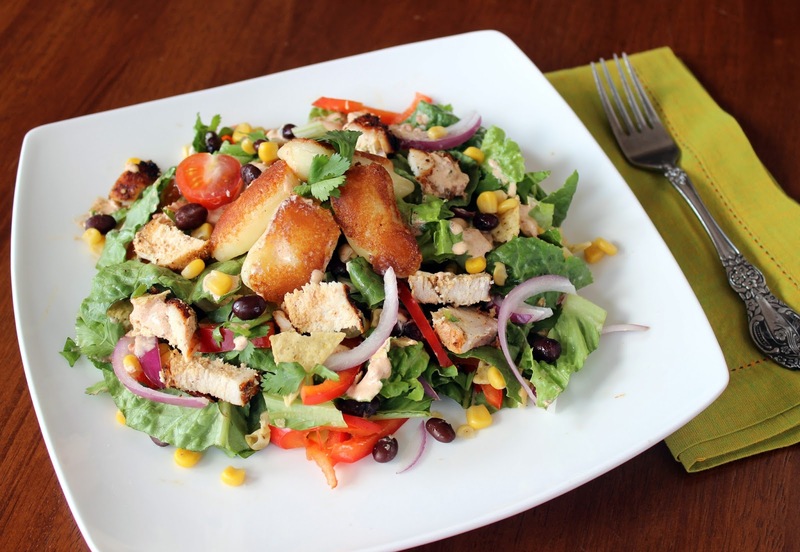 Head over to Eat Wisconsin Cheese, and you'll find a deliciously fresh grilled chicken taco salad, embellished with creamy chipotle dressing and crisp, warm seared White Cheddar Cheese Curds. The curds have all the flavor of their battered, fried brethren; but, they're quick and easy to prepare, and they taste delicious when accompanied by the auspiciously fresh crunch of romaine lettuce, red peppers and the sweet kick of red onion. Of course, if you're not in the mood for salad, we've got a solution for that too. 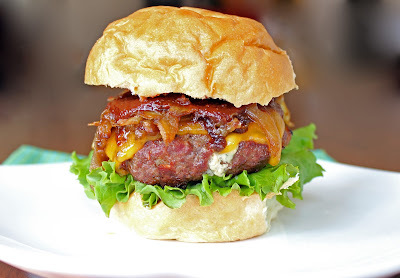 How about a take on the classic cheeseburger for your next backyard barbeque? Our version pays homage to Mineral Point's Brewery Creek Inn "Stuffed Burger." 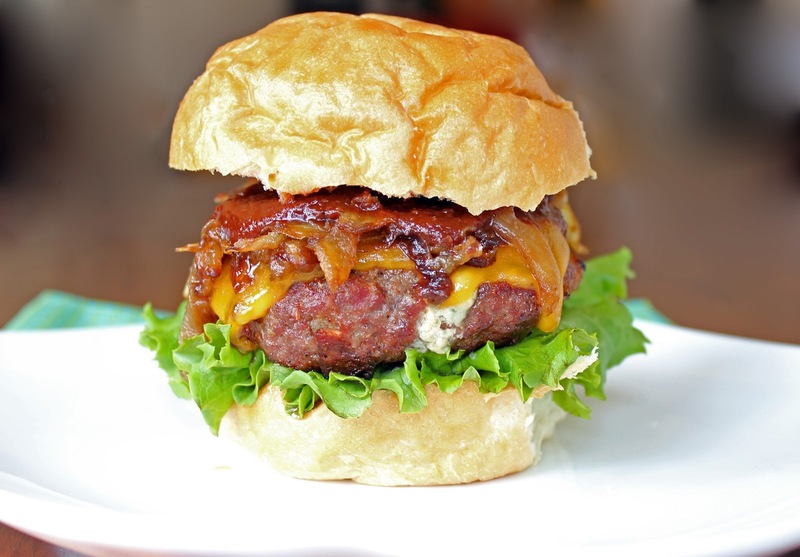 Jam-packed with Blue Cheese and smoked bacon, and served with melted Colby Cheese, caramelized onions, and barbeque sauce, this delicious creation is a force to be reckoned with. If you've been wondering where we've been, I have a really, really, good explanation. We've been busy planning the launch party for Milwaukee's newest food magazine, Edible Milwaukee. If you have an Edible publication in your home town, you probably know why we're so excited to be getting one here in Milwaukee. The fact is, Milwaukee has always been known for its food traditions in beer, cheese, and sausage. But, some people have missed the fact that, over the last ten years, it's become a virtual hotbed for foods of all kinds -- from cocktails to coffee to amazing food entrepreneurism. And that doesn't even include the freshwater or urban gardening initiatives. Honestly -- the stories stemming from the city’s culinary scene could fill a book. Now, finally, there is one – a publication dedicated solely to the production, distribution, and consumption of food in the Greater Milwaukee area. YAY! Anyhow - if you're going to be around, we'd love it if you joined us. You can get tickets over at MKEfoodies. For those of you who are too far away to celebrate with us, I'd like to leave you with a little bit of a celebration of your own. We worked up a couple of dessert recipes in the last few months for the Go Bold With Butter blog -- and one of them turned out particularly well. It's cute. And trendy. And gosh-darn delicious. 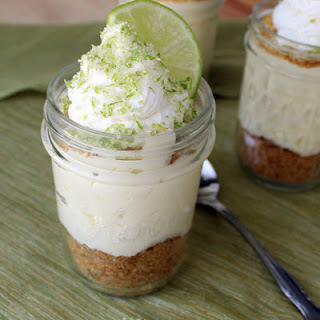 Especially if you agree with me that almost nothing tastes more like summer than a cool slice of tart key lime pie. Most versions use sweetened condensed milk to give the pie a rich, creamy flavor. 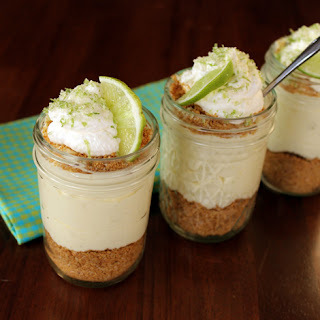 But, in this recipe, we’ve used lime curd to provide the perfect amount of pure lime flavor and the airiness of freshly whipped cream to add lightness to the otherwise heavy filling. Layering the dessert in half-pint mason jars provides a modern twist to this classic summer dessert.